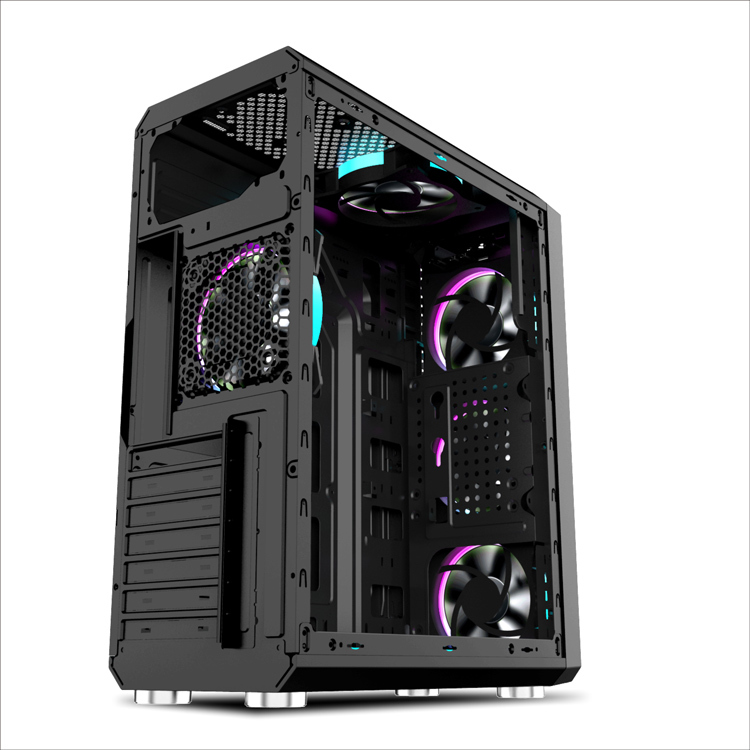 Iceberg Tech is pleased to introduce the official release of the Crystal G9, RGB PC enclosure. 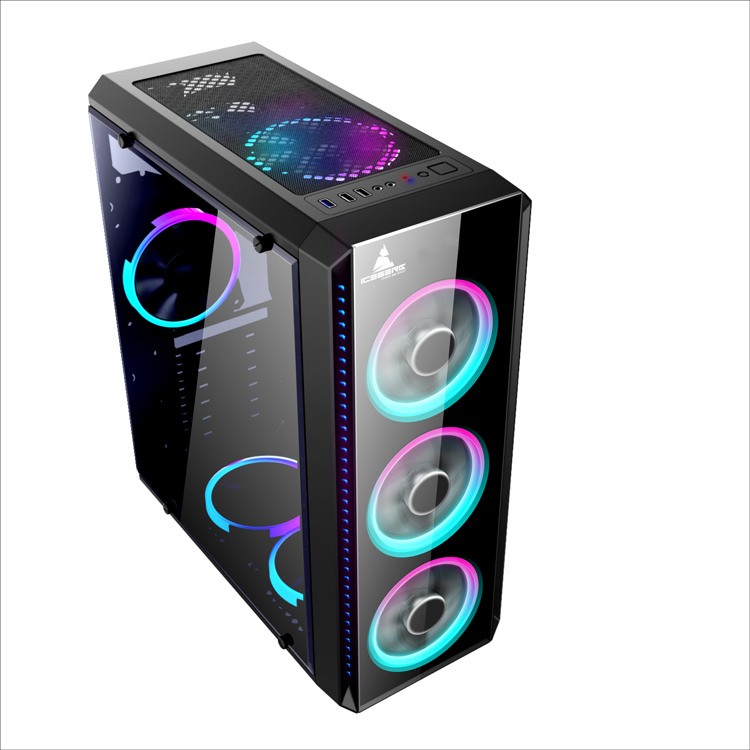 This new metal chassis with tempered glass front panel is targeted to the PC Modder and PC Gamer who loves to play with computers and show off their hardware. 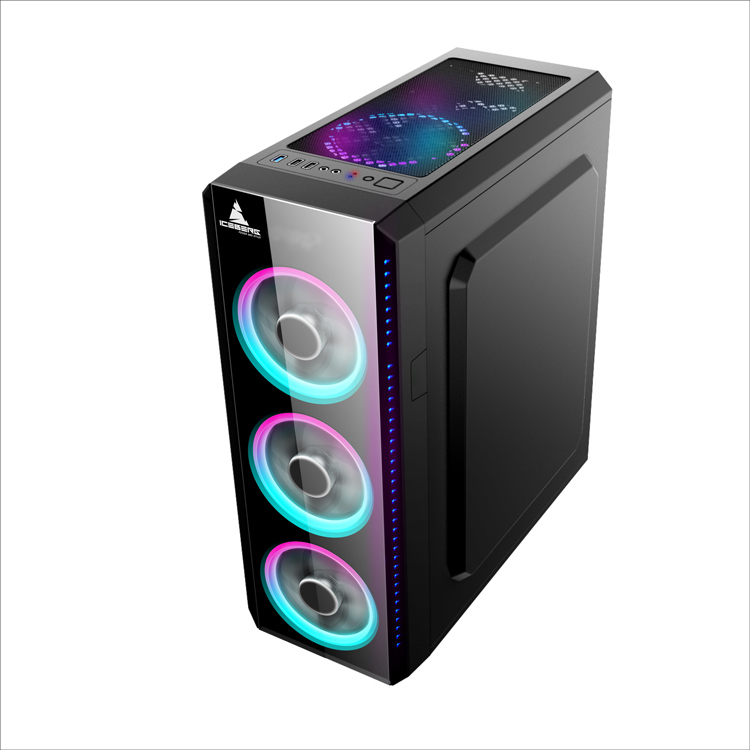 With room for up to 6 drives and 7 expansion slots for the installation of long graphics cards ( up to 320mm length VGA card ) large CPU cooler ( up to 165mm height clearance) and superior cooling through the 7 x 120mm fan mount locations throughout this chassis. 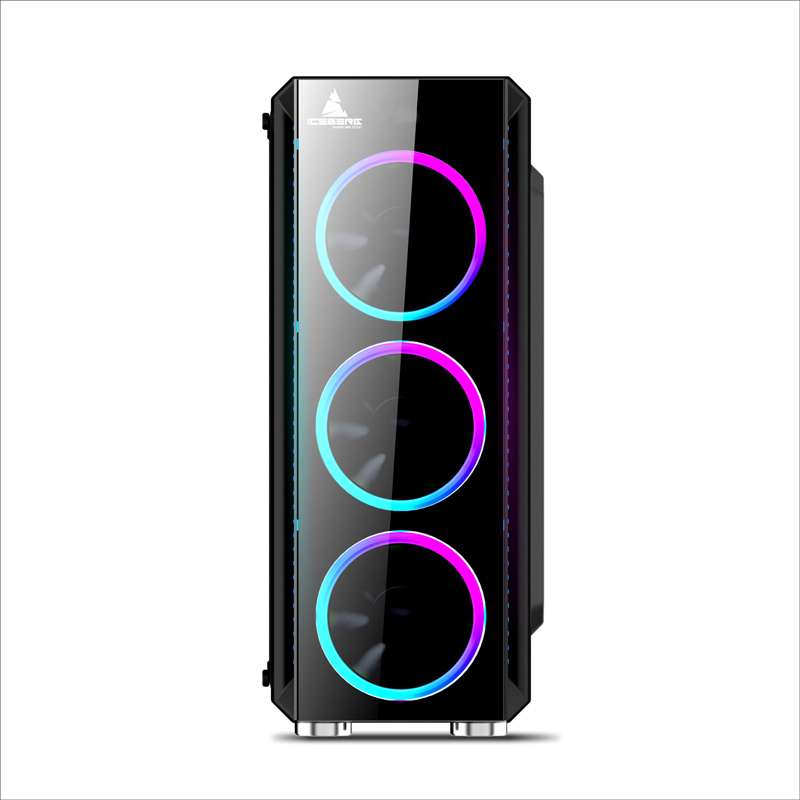 Already included are 4 multi-LED RGB cooling fans in the front and rear. The Crystal G9 offers easy upkeep like tool-free removal of the left side and front panels. Considerable options for gaming peripheral connections through the three USB ports and HD Audio jacks. 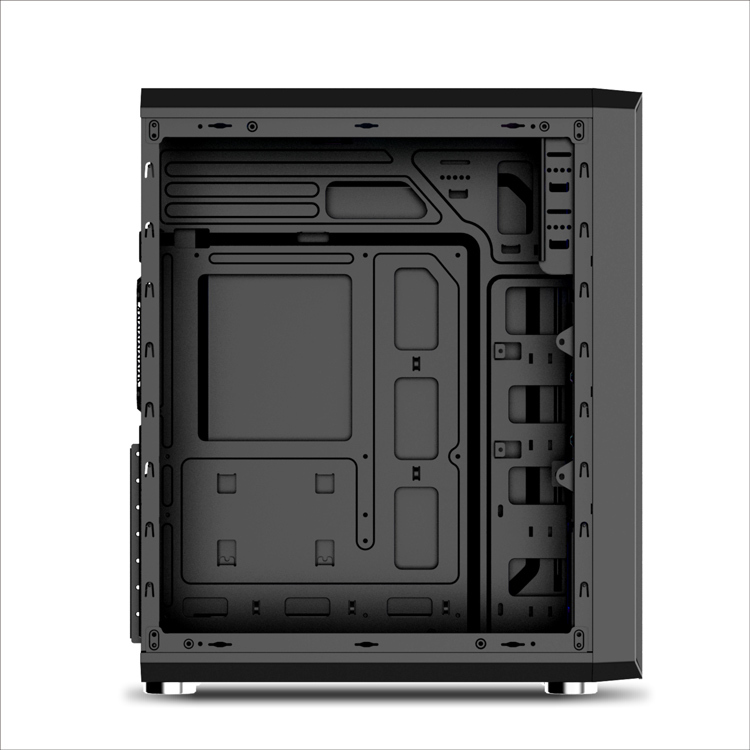 The chassis is constructed out of 0.50mm SECC steel and facilitates neat cable routing and good system airflow. 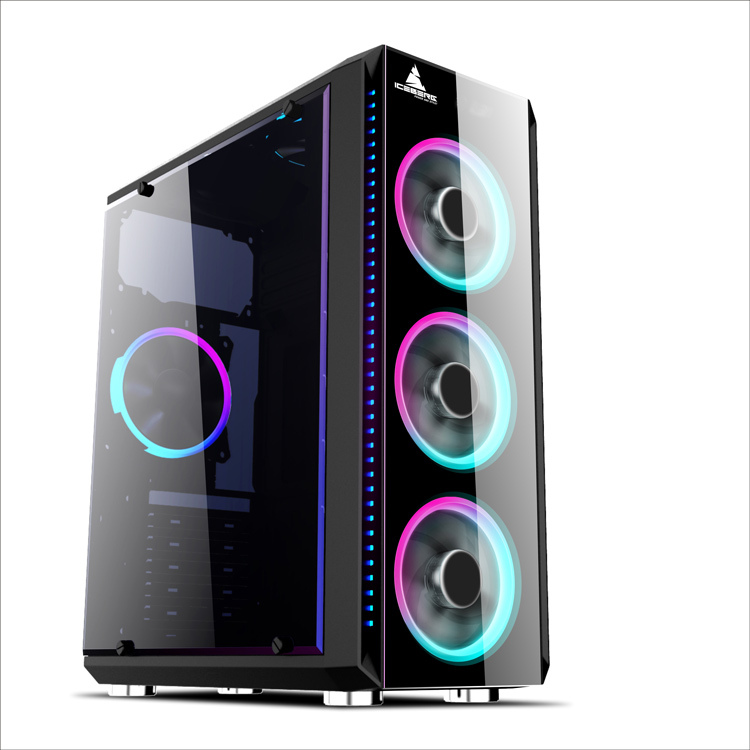 Show off your cool components, RGB Cooling and water or air coolers through the full window side panel on the left side and front panel.